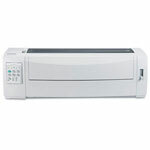 The Lexmark Dot Matrix Printers are very efficient and effective in their use, these printers have a versatile designs, they have a print tractor at the front and an automatic sheet feeder which streamlines the task of the company. 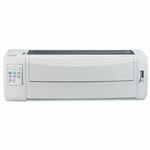 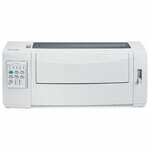 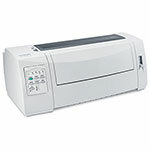 The Lexmark Dot Matrix Printers perform all the functions of a printer with ease, they have an easy to use operator panel that is durable in nature and provides an option for flexible paper handling. Lexmark Dot Matrix Printers can be set up in small and congested places as well, they have an exclusive printing speed of up to 618 cps.